It’s that time of year for holiday bonus gift card offers! Many restaurants and some retailers will offer bonus deals when you buy gift cards. Use the bonus for yourself or pass it on as a gift. Now is the time to stock up! Most of these holiday bonus gift card offers are available until the end of the year, unless otherwise noted. 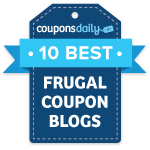 Thanks to Mary from Mission to Save for compiling this list of bonus gift card offers. 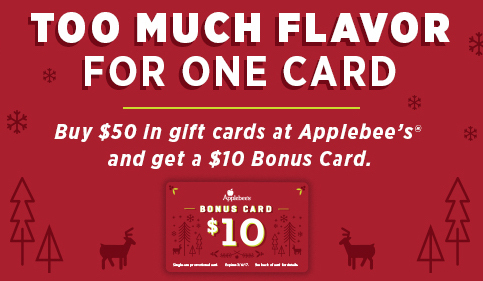 Applebee’s: Receive a $10 bonus card when you buy $50 gift cards. Offer valid through 1/7/17. Bonus card expires 3/6/17. BJ’s Restaurants: Receive a $10 bonus card when you buy $50 in gift cards, or a $25 bonus card when you buy $100 in gift cards. Offer valid through 12/25/16. You’ll also receive a 20% off VIP card delivered via email. Bonus card and VIP card valid 12/26/16 – 2/13/17. Bonefish Grill: Receive a $10 bonus gift card when you buy $50 in gift cards. Bonus card redeemable 1/1-2/8/17. Bucca di Beppo: Receive a $10 reward card when you buy a $50 gift card. Reward card valid 1/1-2/28/17. Biaggi’s: Receive a $15 holiday bonus award card with every $100 in gift cards purchased through 12/31/16. Award card valid 1/1 – 3/31/17. Buffalo Wild Wings: Receive a Blazin’ Bonus worth up to $100 for every $25 purchased in holiday gift cards through 12/31/16. Blazin’ Bonus are redeemable 1/1 – 2/28/17. Limit four Blazin’ Bonus per person. California Pizza Kitchen: Receive a $20 rewards card when you buy $100 worth of gift cards. Offer valid through 1/2/17. Bonus card valid 1/9-2/26/17. Carrabba’s: Receive a $10 bonus gift card when you buy $50 in gift cards. Bonus card redeemable 1/1-2/8/17. Chili’s: Receive a $10 bonus card when you buy $50 worth of gift cards. Bonus card valid through 2/8/17. Claim Jumper: Receive a $10 bonus card when you purchase $50 in gift cards through 12/24. Bonus card valid 1/2 – 5/31/17. CRAVE: Receive a $25 bonus card when you buy $100 in CRAVE gift cards online through 1/1/17. Bonus card valid 1/2 – 12/31/17. Culver’s: Receive a FREE Value Basket on your next visit when you purchase $25 or more in Culver’s Gift Cards through 12/25/16. Value Basket certificates expire 2/26/17. Dave & Buster’s: Receive $10 in FREE game play with purchase of a $75 gift card. FREE game play valid 1/1 – 3/31/17. Denny’s: Receive a FREE $5 Denny’s coupon for every $25 gift card purchase. Redeem $5 coupon offer 1/1/16 through 3/31/17. Granite City: Receive a $5 bonus card for every $25 in gift cards purchased. Bonus card valid through 3/31/17. Green MillIHOP: Receive a $5 bonus card when you purchase $25 in gift cards through 1/1/17. Bonus card valid through 1/31/17. 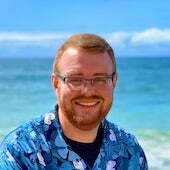 Joe’s Crab Shack: Receive a $30 coupon booklet when you buy $25 in gift cards. Landry’s Locations: Receive a $10 bonus card when you purchase $50 in gift cards through 12/24. Bonus card is valid 1/2 – 5/31/17. LongHorn Steakhouse: Receive a $5 off bonus coupon when you buy $25 in gift cards online. Bonus card is valid 1/1 – 2/5/17 for $5 off the purchase of two adult entrées. Menchie’s: Receive a $5 bonus card for every $25 you buy in gift cards. Bonus cards are valid until 6/30/17. Morton’s: Receive a $10 bonus card when you purchase $50 in gift cards through 12/24. Bonus card is valid 1/2 – 5/31/17. Noodles & Company: Receive a $5 bonus card for every $25 you buy in gift cards. Bonus cards are valid until 11/14/16 – 1/16/17. Old Chicago: Receive a $5 bonus card when you buy $25 in gift cards. Bonus card valid 1/1 – 2/28/17. Olive Garden: Receive a $10 bonus card when you buy $50 in gift cards. Offer available 11/14/16 – 1/1/17. Bonus card valid 1/2/17 – 3/31/17. Outback Steakhouse: Receive a $10 bonus gift card when you buy $50 in gift cards. Bonus card redeemable 1/1 – 2/8/17. Panera Bread: Receive a $10 bonus card for every $50 in Panera Bread gift cards purchased now through 12/31/16. Bonus card is valid 1/1/17 – 1/23/17. P.F. Chang’s: Receive a $20 bonus card for every $100 you spend on gift cards online. Bonus card valid 1/1/2017 – 3/31/2017. Pittsburgh Blue: Receive a $25 gift for you for every $100 in gift cards purchased through 12/24/16. Use coupon code PARA2016 at checkout. Red Lobster: Receive a $10 off bonus coupon or free appetizer when you buy $50 in gift cards online. Bonus coupon is valid 1/2/17 – 2/5/17. Red Robin: Receive a $5 Bonus Buck rewards card when you buy a $25 – $45 gift card. Roy’s: Receive a $20 bonus gift card when you buy $100 in gift cards. Bonus card redeemable 1/1 – 2/11/17. Ruby Tuesday: Receive a $5 bonus coupon when you buy $25 and $15 bonus coupon when you buy $50 in Ruby Tuesday gift cards (plus free shipping). Bonus coupons delivered via email; valid from 1/2 – 2/28/17. Ruth’s Chris: Receive a 10% bonus card when you buy $250 or more in gift cards. Holiday bonus cards valid 1/1 through 3/31/17. Steak ‘n Shake: Receive a $5 bonus certificate when you buy $20 in gift cards. Certificate valid 1/5 – 2/28/17. Texas Roadhouse: Receive a $5 bonus eGift Card when you buy $30 in Texas Roadhouse gift cards online. eGift Card emailed within 7 days of purchase. TGI Friday’s: Receive a $10 Bonus Bites card for every $50 in gift cards purchased while supplies last. Bonus Bites card valid 1/1 – 2/28/17. Tony Roma’s: Receive $15 in RomaBucks for every $50 in Tony Roma’s gift cards you purchase. RomaBucks are valid 1/2 – 3/21/17. Uno Chicago Grill: Receive a $5 bonus voucher when you buy $25 in gift cards. Promotional gift card valid 1/2 – 2/13/17. White Castle: Receive $5 promo card when you buy $25 in gift cards, while supplies last. Promotional gift card valid 1/2 – 2/28/17. Yard House: Receive $10 bonus card with every $50 gift card purchase through 1/1/17. Barnes & Noble: Receive a free $10 eGift Card when you buy $75 or more on gift cards or eGift Cards. DSW: Receive a $5 bonus gift card and free box when you buy $50 in gift cards through 12/26/16. Bonus card is valid between 1/6 – 1/29/17. Half Price Books: Receive a $5 bonus gift card when you buy $25 in gift cards. Gift cards must be purchased by 12/24/16. Bonus gift card valid 1/1 – 1/31/17.